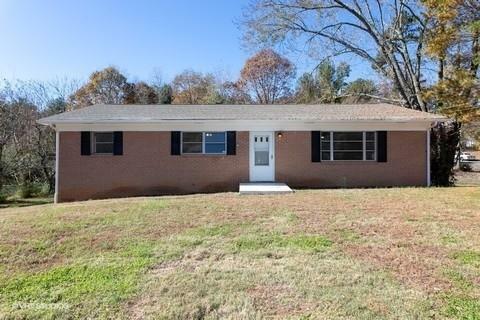 3 bedroom 1 bath brick ranch home in Hudson. Unfinished basement for expansion. New roof, new HVAC, New interior and exterior paint, newly refinished hardwood floors and new vinyl flooring in kitchen and bath. New cooktop, wall oven in kitchen. Living room has gas log fireplace. 1 car garage in basement with new garage door. This home is move in ready. This is a Fannie Mae HomePath property. Offered by Berkshire Hathaway Hickory Metro Real Estate. Copyright 2019 Carolina Multiple Listing Services. All rights reserved.